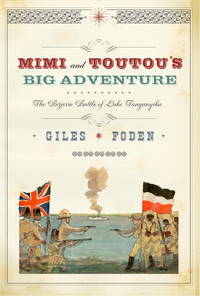 Mimi and Toutou's Big Adventure: The Bizarre Battle of Lake Tanganyika. If you think the events in the movie of "The African Queen" were bizarre or that Katherine Hepburn's later book describing her ability to actually survive the making of the film was strange, the true story has them both beat. Famous Land Battles from Agincourt to the Six-Day War. Boston: Little Brown & Co , 1979. First American Edition Cloth Fine in Near Fine DJ Large 4to (9-1/2 x 12), 184 pp inclduing Index and Bibliography. Book is FINE in red cloth covers, with NEAR FINE glossy pictorial DJ. Every page has b&w and full color multiple photos, maps, drawings, reproductions of famous battle paintings. Individual battle descriptions also including innovations that took place (first use of tanks, airplanes, etc). Well done and beautifully presented. The Chronicle of Private Henry Metcalfe H.M 32d Regiment of Foot. By Metcalfe, Henry; Tuker, Sir Francis; Slim, Sir William. London: Cassell & Co , 1953. First Edition Printed Wraps Near Fine in Near Fine DJ Small 8vo (5 x 7-1/2), 117 pp with Notes and Appendix (Report from the Dover Chronicle, September 17, 1869, describing arrival and reception for the "Heroes of Lucknow," including the banquet, the Bill of Fare at the banquet, the Games, and the Ball.) Book is NEAR FINE with NEAR FINE Dust Jacket. DJ has no tears or rips or price-clip, but is tanned on spine and edges due to age. Some slight tanning of the front and rear flyleafs and a previous owner's name in black ink on the flyleaf. Dust Jacket is now protected in Bro-Dart cover. This is Private Metcalfe's account of the Indian Mutiny, and the Defense of the Siege of Lucknow. Metcalfe was an infantryman (Regiment of Foot). The manuscript was given to Lt General Tuker to publish, and his Introduction establishes the historical and tactical context of the events.